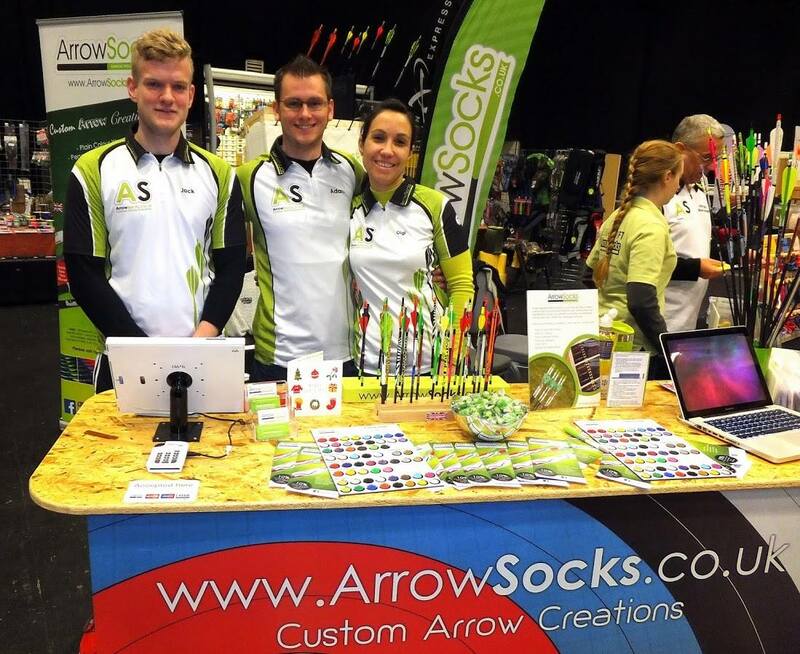 Become a member of the "Green Army" - a band of merry men and women who all own an ArrowSocks shooting shirt - you may have spotted them at various shoots recently! 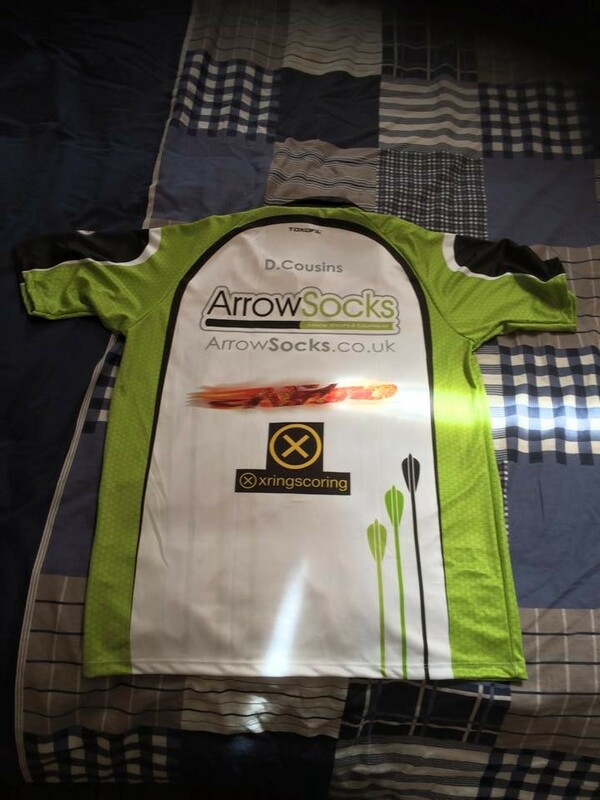 Our shirts are made to order, in the size you require* and feature two places to have text of your choice - your name? your club? your favourite motivational quote maybe? 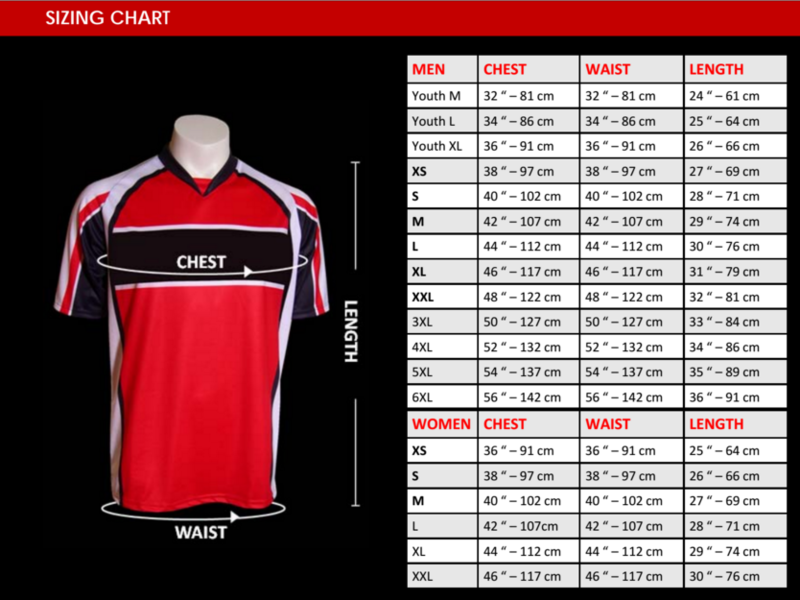 The shirts are made by TOXOFiL in Canada, widely regarded as one of the best manufacturers of shooting shirts. 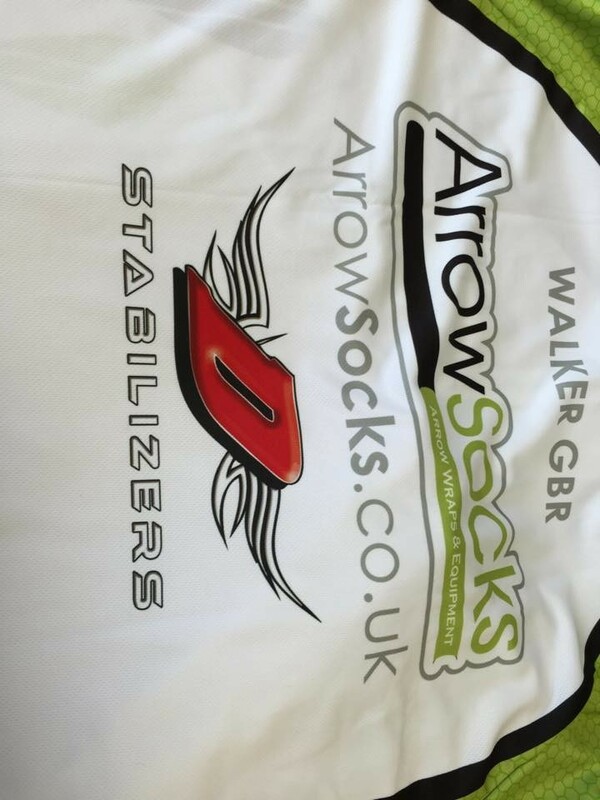 Now available with other sponsors logos on - all we ask is that you supply the logos in high resolution print ready format and we'll happly add them on the back or front white spaces. Pop us an email if this is of interest. Speaking to those who have already got one of our shirts - we only heard good feedback, many people now own two as the quality and design has impressed so much! For order info please see description below. SAVE £2 by paying with a bank transfer - we dont get charged any fees so can pass this saving onto you. At checkout, choose bank transfer, on transfering send us £48 instead of £50. 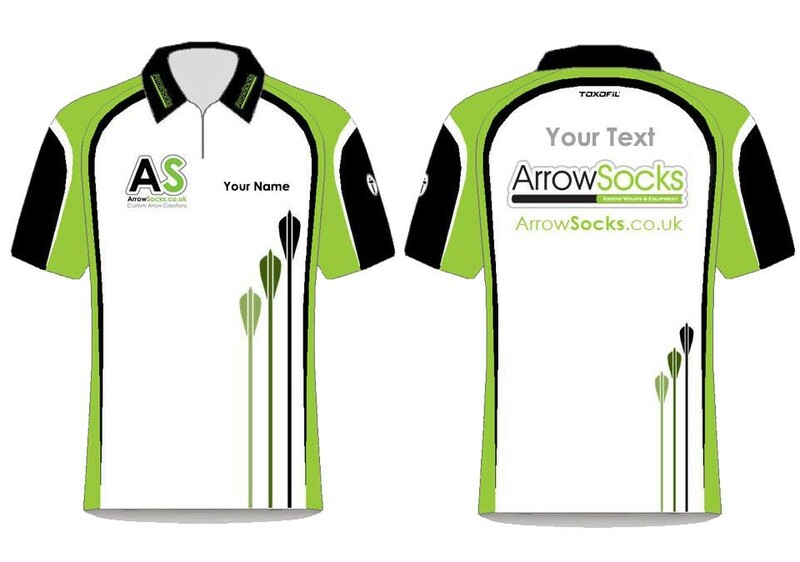 Our shirts are made to order, in the size you require* and feature two places to have text of your choice - your name? your club? your favorite motivational quote maybe? The shirts are made by TOXOFiL in Canada, widely regarded as one of the best manufacturers of shooting shirts. 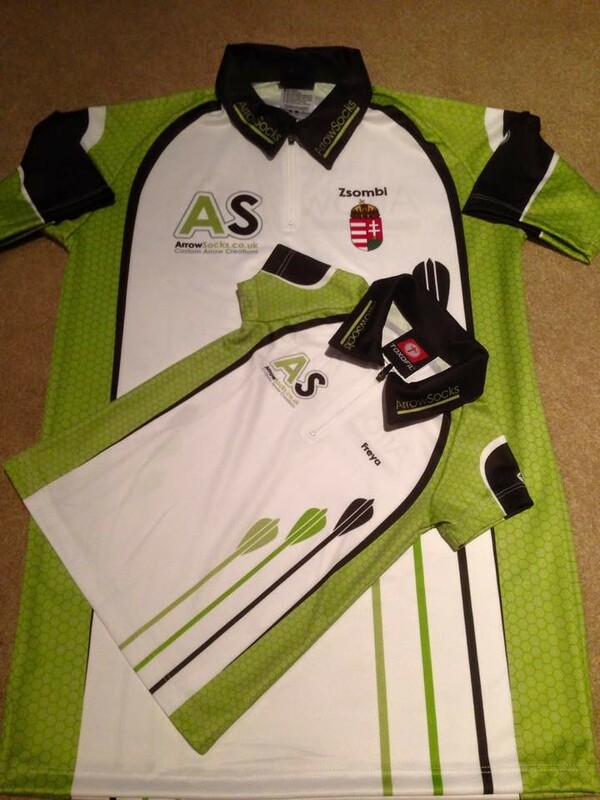 As worn by the "Inspirational Archer" Matt Stutzman! Speaking to those who have already got one of our shirts - we only heard good feedback, many people now own two as the quality and design has impressed so much! Place your order, filling in the details required below and purchase your shirt. Once we get over 20 orders we will give a few days notice as a last chance and then close this run - we have to have over 20 for us to be able to order. The order will then be placed and we will keep you updated on its progress. Due to Xmas being just around the corner the normal 3 week turn around will be extended (factories closed for a bit). In the very unlikely event we don't manage to get 20 people interested and paid up (a non paid for order will not count!) in a sensible time frame - all of your orders will be refunded in full. These are custom made items, so no returns are possible* - please ensure you have consulted the provided size chart and have selected the correct size. If logos or other customisation is required we will send you a proof of the design before it i signed off, please check this carefully before confirming everything is ok. Delivery can take 4-6 weeks from when we place the bulk order with TOXOFIL. *Obviously, if we make a mistake - we will get it sorted! Loving this shirt, great to shoot in, feels so comfy. One of the most comfortable shirts I have worn, not just while shooting I wear it away from the range as well. The quality of both the shirt and the printing is top notch, I have had a number of club member’s comment on the shirt and two have ordered their own. As good as it gets really. Join the green army! 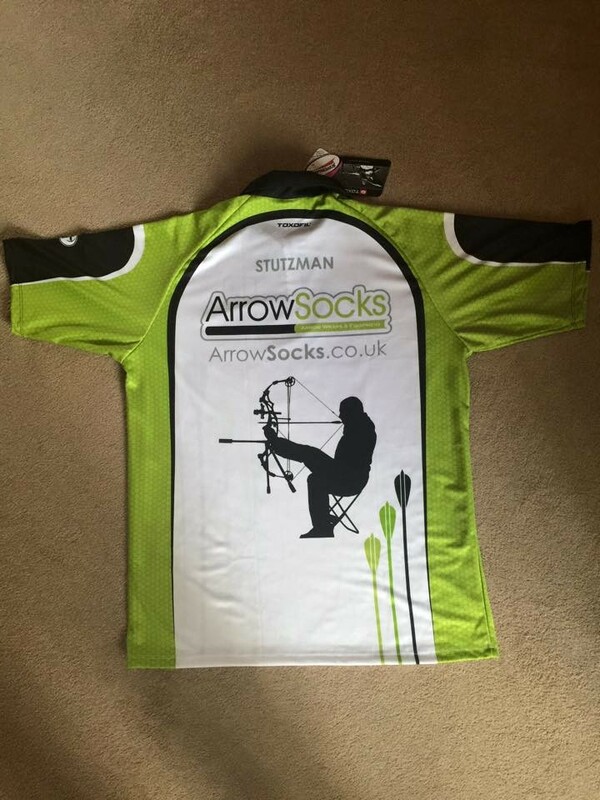 Probably the best shooting shirt I've ever tried. The toxofil shirts are made from the best material possible, very light material and great for keeping cool in summer shoots. Collar is soft which is great for shooting, and the zip is very convenient and not irritating at all. All printing is very high quality and does not fade (if you wash it properly!). And it looks awesome.